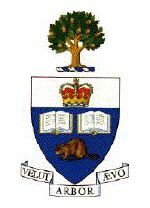 The 2006 edition of the Canadian Economic Theory Conference will be held from May 12 to May 14 2006, at the University of Toronto. The objective of the conference is to encourage and disseminate leading-edge research in any area broadly related to microeconomic theory. Submissions of research papers in these areas are solicited to be presented at this conference. The deadline for submission is March 20, 2006 .